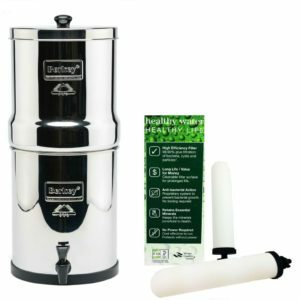 The versatile Big Berkey water filter is the perfect Berkey water filter for those who want great Berkey water at the best available price. The Big Berkey filter is sized to be the perfect water filter for 1-4 people and is the perfect size for your kitchen countertop water filter. It comes complete with 2 9-inch Ceramic Candles. 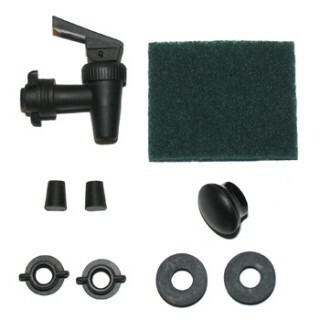 Comes with 2 9-inch Super Stearasyl Ceramic Filters. 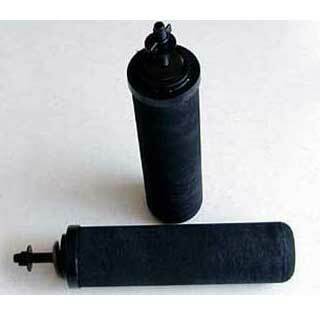 The Big Berkey Water Filter has a storage capacity of about 2 gallons (8.5 liters). Upper chamber nests within the lower chamber for easy transport (13″ tall). 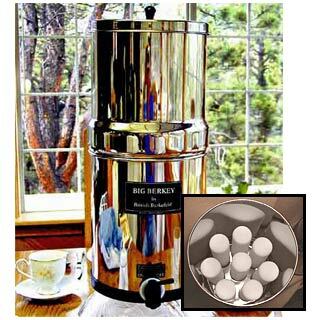 Fully assembled, the Big Berkey stands 19″ in height with a diameter of 8.5″. Manufactured from high-grade polished 304 Stainless Steel.